Canary Wharf is one of London’s most well-known financial districts, but just a mile beyond the high-rise towers is an area of high deprivation and low opportunity – with many young people not in employment, education or training. Thankfully, things are changing. 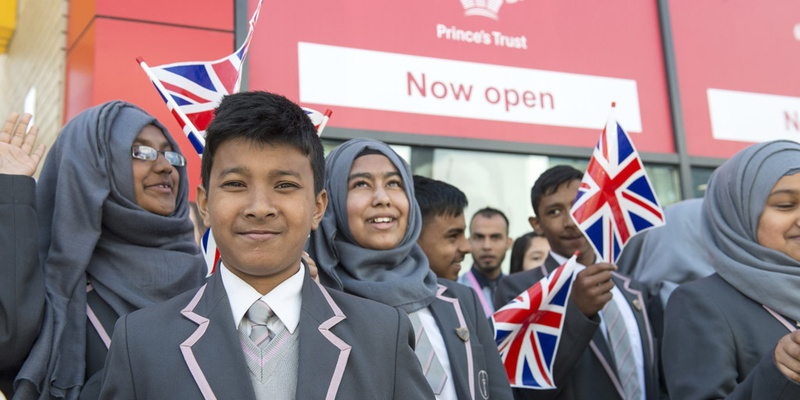 In 2013 a two-year partnership between The Prince’s Trust and Morgan Stanley began and culminated in the opening of The Prince’s Trust Morgan Stanley Centre – a hub that’s already transforming young lives. Morgan Stanley employees voted to partner with The Prince’s Trust and support a project they could engage with and make a tangible difference. Giving back is one of our core values and creating a connection between our employees who work in Canary Wharf and people who live locally is important to us. Morgan Stanley entered the partnership with the aim of raising £1 million to find and fund a special Tower Hamlets-based centre where The Trust could reach out to the local community. Two years later, after dragon boat races, quiz nights and countless other challenges, Morgan Stanley staff raised a staggering £1.5 million – 50% over and above the original target, giving the centre a firm foundation to begin programme delivery. In addition to raising funds, more than 700 company volunteers also invested their time and expertise in ensuring the partnership’s success – from conducting in-depth research to find the most impactful location to base the centre, to discussing leadership skills with Young Ambassadors. Interns, managers and directors got involved – and everyone was inspired by their experiences. The Prince’s Trust put me on the right track. I wasn’t going anywhere before – it was horrible. Now, I feel like I’ve achieved something. In March 2015, The Prince’s Trust Morgan Stanley Centre officially opened its doors to the people of Tower Hamlets to help unemployed young people try something new, get jobs and start their own businesses. In its first year, the centre will support over 500 young people. But this is just the beginning. Although the partnership term has ended, Morgan Stanley’s commitment hasn’t. Our two-year partnership has set in motion a legacy which will endure for many years to come, helping us to support more vulnerable young people than ever before.